Brand new Kindergarten in the village of Anamenapha. Just finished the flooring today… another amazing educational project completed by Village by Village. We know its important that you know exactly where your money is going so using low-cost or no-cost web based technologies we are trying to bring donors and recipients closer together and show donors exactly where their money is being spent. This photograph was taken on a second hand iPhone using Instagram, a smart phone app that automatically posted this photograph to the web. The Instagrate Pro plugin then stripped out the GPS location tags in the image to show the exact location the person was standing as they took the image which is now being displayed on the Google Map below. Ifttt.com then posts the photograph directly to Village by Village’s Face Book, Tumblr and Twitter news feeds. These photographs are being taken in real time, the only delay is the speed of the mobile 3G and connectivity in Ghana. This photograph is of Brand new Kindergarten in the village of Anamenapha. 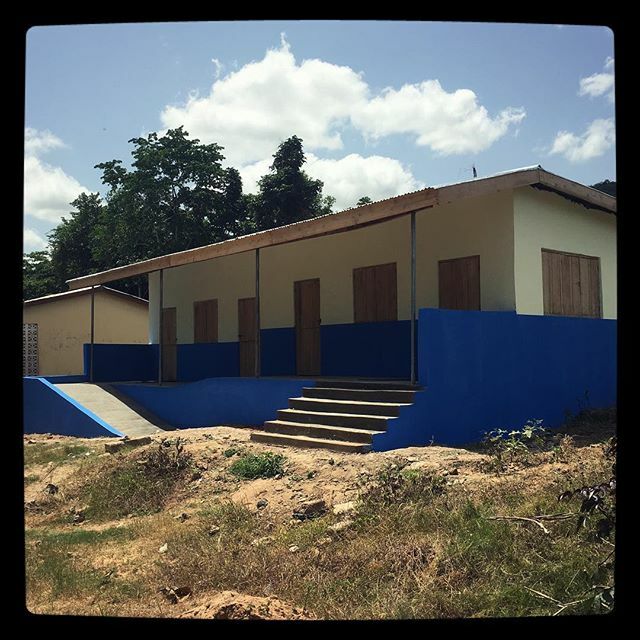 Just finished the flooring today… another amazing educational project completed by Village by Village.